This Limoge France Hand Signed and Painted Serving tray is in excellent condition with no chips, cracks, or hairlines anywhere. Nice Gold and thick gilding on the edges and handles. 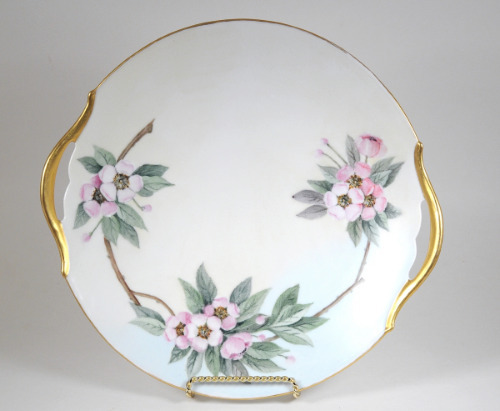 The dish is hand signed by the painter THemmer and dated 1917. The T&V Marking as well as the hand signing is very clear and distinctive. IMPORTANT FREE SHIPPING NOTE: These will ship very carefully packed, double boxed, and USPS Priority Mail for safe and faster delivery absolutely free to your doorstep! Our Free Shipping costs include Tracking Numbers so you may track your purchase.